Your Indianapolis area’s septic tank and septic system play a big role in keeping your home plumbing in good shape. 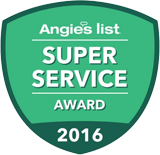 You need a team dedicated to superior service and dependable quality to keep the system running clear, free, and as smooth as possible. And around here, that means you need the specialists at Service Plus Heating, Cooling & Plumbing! The Service Plus team has been offering perfect plumbing services to Indiana clients for decades. Our plumbing experts are certified, licensed, and insured, letting you know that when you seek our team for repair or maintenance services you’ll never be disappointed. For septic services in Indianapolis, count on us to have you completely covered. Looking for septic tank services in the Greater Indianapolis area? Contact Service Plus online today or give us a call at (317) 434-2627 for priority service! A septic tank and system work completely independently of city and urban utility systems. In order to keep up with your home’s waste water removal and retention needs, the tank has to be installed perfectly. A tank has to be chosen according to size and capability if it’s going to fulfill your requirements and offer dependable service. That’s why our specialists take your installation needs very seriously, offering an installation service that promises accuracy and perfection. A damaged or backed tank can very quickly cause a lot of trouble for a homeowner. When things go awry you need a service team that promises accuracy and speed both at the same time. You’ll find our team is more than capable of meeting all of your septic system repair and service needs. For a septic system and tank there is nothing more vital than routine service and care. Septic tanks must be consistently pumped and maintained in order to avoid a few very unpleasant problems. Service Plus offers complete septic tank pumping, cleaning, and maintenance services to clients in Fishers and Indianapolis, helping you keep your septic system in top shape for years to come. When you’re looking for reliable service that puts your comfort and needs above all else, you’re looking for the specialists at Service Plus heating, Cooling & Plumbing! Our team is on standby and ready to help any time you need us, so feel free to call or contact us on the web when you’re ready for leading septic tank and septic system service!